Digital advertising makes it easy to get lost in data. We tend to forget about the elements that work together to result in order number #000254771. With Facebook ads in particular, this effect seems magnified. For years, advertisers have heard how targeted Facebook ads are. So, when their Facebook sales hit a slump, their first assumption is that their targeting is off and they’re not reaching the right people. This is probably one of the biggest mistakes marketers make. Many times it unfortunately leads to breaking up perfectly well-performing campaigns to try and fix the situation, or potentially jumping ship to another agency for all the wrong reasons. Before you make any rash decisions, listed below are some of the critical factors that need to be analysed to understand what’s impacting performance. The next time you’re thinking about changing up your ad campaigns to improve performance, think about when you last changed your creative, i.e. the ads themselves. When people see the same creative over and over, it loses its potency and your audience becomes immune to it. This is the most common reason that I see ad performance start to taper off. More often than not, introducing fresh creative can make all the difference. This entails launching new ads, or changing your images, videos and copy. As a rule of thumb, you should introduce new creative at least once a month if you’re spending a few hundred dollars per month, bi-weekly if you’re spending around SG$30k per month, and weekly if you’re spending a few thousand per day on Facebook. When numbers fall, many companies start freaking out that their performance has taken a dive. They start questioning everything but their website. However, if you were to take a look at your ad performance, a quick analysis might show you that your ads are performing as expected, up until the point where people start interacting with your website. To put it simply, your ads could be taking the blame for a problem that actually lies within your website. Few people are tracking the impact of their website updates, from redesigns to introducing new features like cross-sell and up-sell apps. Facebook ads are getting more and more competitive. 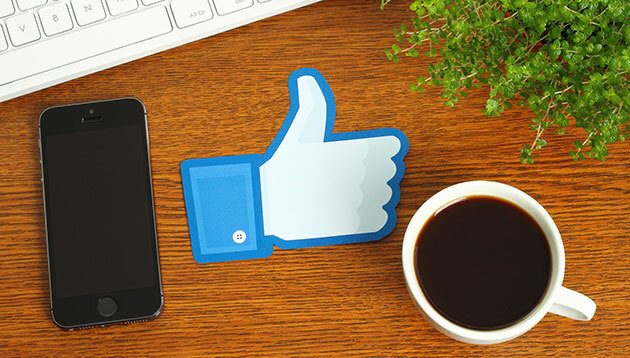 The number of active advertisers on Facebook has grown from 3 million in 2016, to 6 million in 2018 (according to statistica). The Facebook ads algorithm works on an auction system – more competition means higher prices. That being said, however, Facebook ads are still underpriced. This is why not enough companies focus on Average Order Value (AOV), which is the average dollar amount spent each time a customer places an order. Sometimes the only reason your Facebook performance has gone out of sorts is because you’re out of stock in a few key, higher priced products. This lowers your AOV and therefore you’re not making as much per customer. Eventually, it becomes too expensive to run ads that day or week. There are many ways to optimise your AOV. A common strategy is to encourage your customer to purchase additional products similar to their current orders. Alternately, you could even suggest going for a more expensive alternative. Other methods to increasing AOV include volume discounts, express shipping, gift wrapping and customisation, or providing free gifts with a purchase when the customer spends a certain amount. Simple tweaks can go a long way in enhancing sales. Keeping track of the performance of various creative themes and iterations, and continuously optimising these further, for example, will help you to find more winning and profitable creatives to scale your ads. Or, it can be as simple as understanding how appealing your current ad creative is so that you can plan your backup creative in case you need to launch a different variation quickly. As for your website, optimisation is essential. The top players in the market often perform better and win more because they have a 30%-100% better conversion rate. If more people understood how much work is going into regular website optimisation and the impact this makes on achieving scale, regular website optimisation would be a more common service in the industry. Lastly, AOV is going to be your new best friend as competition continues to heat up. Higher AOV means better profit margins and room for increased scaling. So remember, the next time you start blaming your ad agency or ads for underperforming, make sure you’re checking three things: your creative, your website, and your AOV. Rich Burns is the founder and chief executive officer of ROAS Media. WE Commerce and WE Digital has won Tempo account in China. ..
"We went through a restructuring exercise that affected some of our marketing team’s sub-departments in our Singapore office," sai..